Car seats can be confusing! Many of today’s parents and grandparents shake their heads at the complication of today’s car seats and child passenger safety requirements. Are they really necessary? The truth is, with more cars on the road than ever, travelling at higher speeds than ever before, having your child in a car seat is a life-saving choice. The Child Passenger Protection Act requires that all children under age 8 be properly secured in an appropriate child safety seat. Just as important as having a car seat, though, is making sure that your child is in the RIGHT car seat for their age, height, and weight. You should not make a determination on your child’s seat based strictly on their age. Keep children in rear-facing safety seats as long as possible. Never place a rear-facing safety seat in front of an active airbag. A used safety seat may not be safe unless you know the history of the seat and all labels, parts and instructions are present. Always register your safety seat with the manufacturer so you can be notified of recalls. Do not use a safety seat that is more than six years old or past the expiration date stamped on the seat. Non-regulated products such as toys attached to the safety seat, mirrors, window shades and belt tightening tools are not recommended unless the safety seat manufacturer allows their use. All objects in the vehicle should be stowed in the trunk or tied down, as they can become projectiles if a crash or sudden stop occurs. 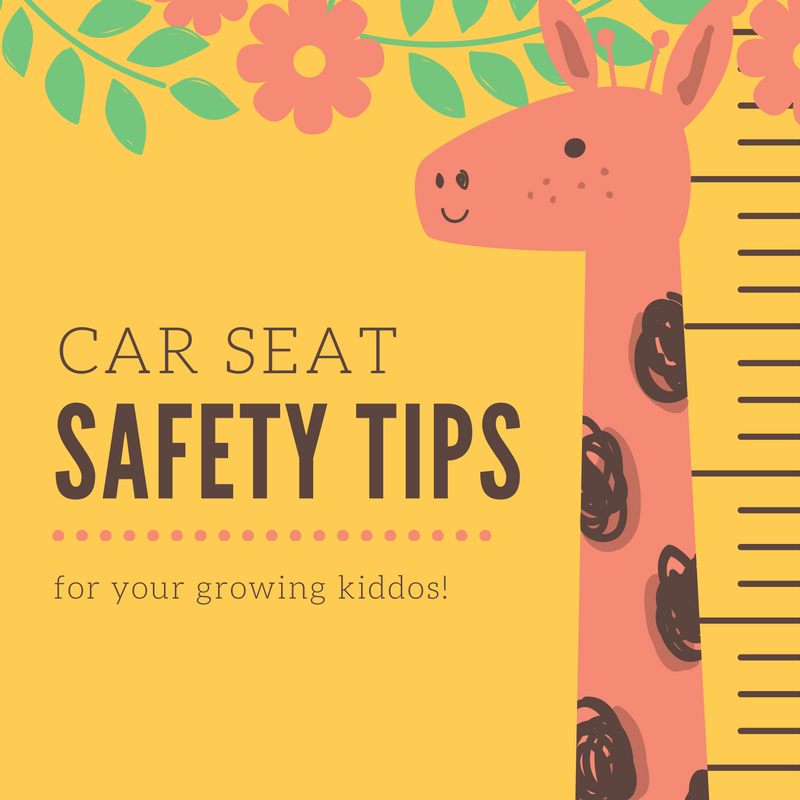 If the back seat of the vehicle is not equipped with lap/shoulder type belts, a child weighing more than 40 pounds may ride in the back seat without a booster seat, secured with the lap belt. It is unlawful for any person to willfully cause or permit the life or health of a child under the age of 18 to be endangered or to willfully cause or permit a child to be placed in circumstances that endanger the child's life or health, except that it is not unlawful for a person to relinquish a child in accordance with the Abandoned Newborn Infant Protection Act. A person who leaves a child 6 years of age or younger unattended in a motor vehicle for more than 10 minutes is in violation of the law. Unattended means either: not accompanied by a person 14 years of age or older; or if accompanied by a person 14 years of age or older, out of sight of that person. A violation of this Section is a Class A misdemeanor which means up to one year in jail and up to a $2,500 fine. A second violation is a Class 3 felony meaning 2 to 5 years in prison and up to a $25,000 fine. A violation that causes the death of the child is a Class 3 felony for which a person, if sentenced to prison, shall be sentenced to a term of two years and up to 10 years. If you have questions about the car seat safety requirements for your child’s particular age group, check out these age-specific recommendations.